Sometimes a handy chart just makes things easier. This seems to be especially true for something like close reading! There are so many steps and so many variations on how to do close reading that just getting it all organized can be a lot of work for teachers! And keeping track of what they need to do next and where they are in the process can be daunting for students as well! That’s why I’ve added a handy little chart to my close reading resources. For students, it’s a quick reminder of what needs to be done at each reading, and for teachers it sets out the organization of each of my close reading resources. · complete the correct responses after each reading. 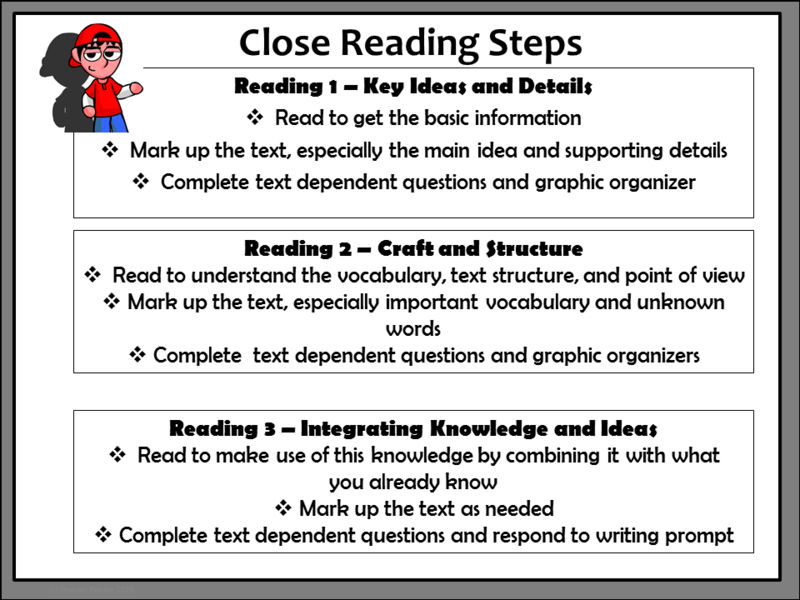 You can download this chart here: Close Reading Routine Chart. Post it on the wall, or make copies for students’notebooks for a quick reference. 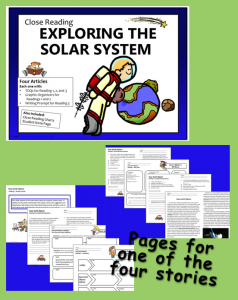 The steps as they are shown on this chart correlate with the materials in my close reading resources such as “Exploring the Solar System” shown below. The resources are ready to use and include everything needed to do a full three readings with your students.